This Christmas we’ve partnered with the kind crew behind DogsBlog.com to end puppy farming and find homes for dogs in need! 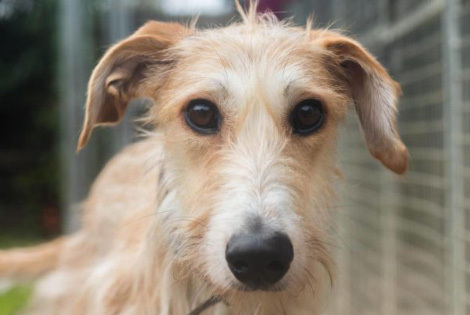 Right now there are around 100,000 healthy dogs seeking homes in the UK. Every day, an average of 21 are put to sleep because no one offered them a home. It’s easier than ever to buy a puppy: from online trading sites, pet shops, even Facebook groups. Such places are hotbeds for unscrupulous puppy farmers and their traders. Around 400,000 – half of all pups purchased each year in the UK – are estimated to come from puppy farms. Puppy farmers profit from well-meaning people buying puppies as gifts for Christmas, and the weeks following the festive season always see high rates of dog abandonment as a result. That’s why this year we’re joining DogsBlog in promoting a new dog every day in the lead up to Christmas. But our Dog a Day Advent Calendar needs all our help to make it effective. Follow Naturewatch Foundation and DogsBlog on Twitter and Facebook and share our daily dog adoption posts. You never know who you might convince to adopt a rescue dog this Christmas. Dogs like Neymar, above, are waiting for their new ‘forever’ homes. So let’s give them a home for Christmas! Follow Naturewatch Foundation on Facebook and Twitter.